Discussion in 'Automobilista - Links & Resources' started by Matus Celko, Jul 24, 2018. For a while I was developing a timing/car status app for r3e and project cars. 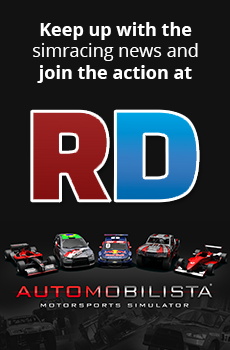 In the latest version I've added support for Automobilista so I'm posting this here, in case that someone might be interested. Timing hilights the player, drivers in pits, personal best and session best times, cars lap back and lap in front. - Double click on a driver will open the drivers lap/sector times. Just download and run the installer. .Net 4.6 required. This is still an early version, so it still needs some ironing, bugs to squish, and usability improvement. Automobilista - Requires the rFactorSharedMemoryMapPlugin (https://github.com/dallongo/rFactorSharedMemoryMap). This is the same plugin that is used (and automatically installed) by CrewChief, so if you're using that, you're good to go. RFactor 1 - Same as Automobilista. Wasn't tested, but it is the same engine as AMS, and the same plugin is used for data, so it should work. Project cars 2 might work with Pcars1 shared data model, but as Pcars 2 doesn't work on my pc (I'm affected by this bug - http://forum.projectcarsgame.com/showthread.php?51621-PC-Crash-Freeze-NVidea-GeForce-GTX770-Crashes-every-time-amp-or-reboots-pc) I won't be able to support pcars 2 atm. Assetto corsa and RFactor 2 support is in the pipeline. Final lap completion for AI might not be timed properly. This is a precaution, because some sims (i.e. r3e), report lap completed for AI the moment the player crosses the finish line. Gap: while it is there, the implementation is very simple, just distance / speed, so it deviates a lot at higher distances. Thats why 30s +/- is the maximum it will show. Car Class instead of Car Model - Pcars doesn't provide car names for other than the player driver, so I used the class for all drivers.